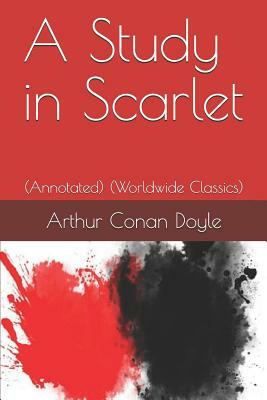 A Study in Scarlet was written in 1886 and published in Beeton's Christmas Annual in 1887 by Arthur Conan Doyle. Doyle was rejected three times by publishers; Ward, Lock, and Company finally accepted it in 1886 with the caveat of it delaying publication until the following year because the market was flooded with "cheap fiction." It was the first of Doyle's Sherlock Holmes tales, and only one of four full-length novels featuring the character. The title of the work comes from a line within the novel where Holmes describes the case .